A little Hantavirus with your soup? Here's where I spent the better part of my weekend. Jealous? The people are coming by on Tuesday to install central air, and I took it upon myself to do the wiring. 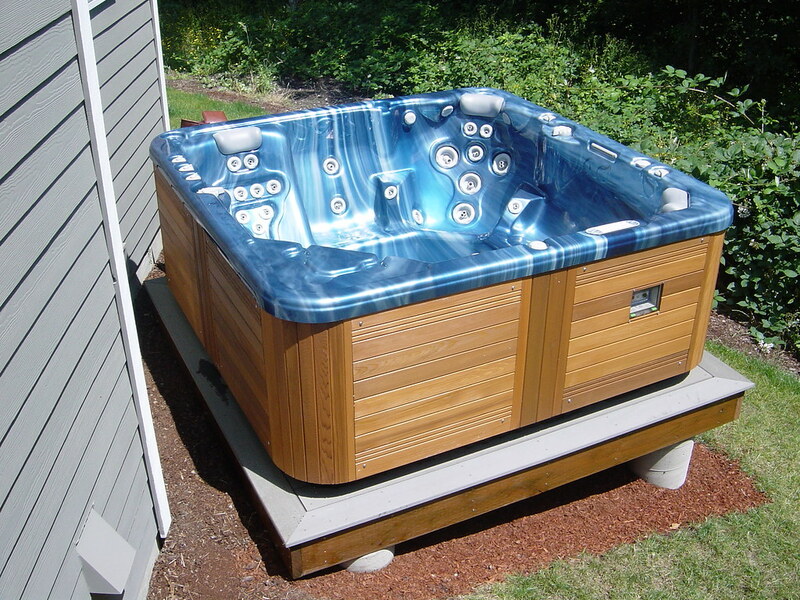 It was a heck of a lot easier than the wiring for the hot tub, but still not the best of times. However, I'll be damned if I'm going to pay some electrician schmoe $1,000 to install $250 worth of parts. 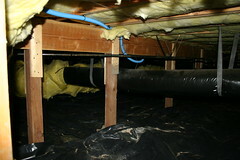 It was pretty hot here this weekend so for that I'm glad I was in the crawl space rather than the attic. But man oh man is it a nasty place to spend a considerable amount of time. Several rats took up residence in there last year and the whole place is full of...rat stuff. To top everything off, any Arachnologist would feel quite at home down there. At least the ground is covered with plastic sheeting so I don't have to crawl around on the dirt. Although the dirt is probably the cleanest thing down there. So now all I have to do is pull the wire, wait for the installers and Tuesday night I'll be chillin' like Willy.